Afternoon all. 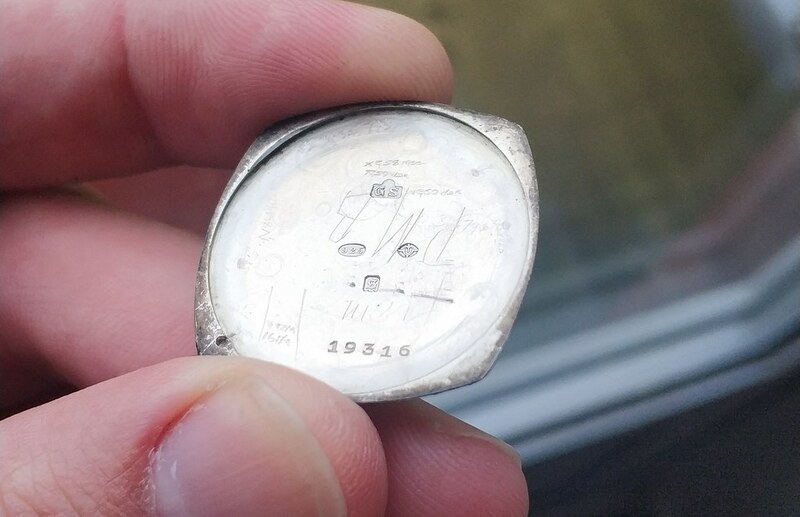 I have had an old Bravingtons silver watch in my drawer for the last 10 years and having a bit of a tidy up came across it again. I gave it a quick wind and it still works perfectly! I wonder if any of you can colour the picture in for me. 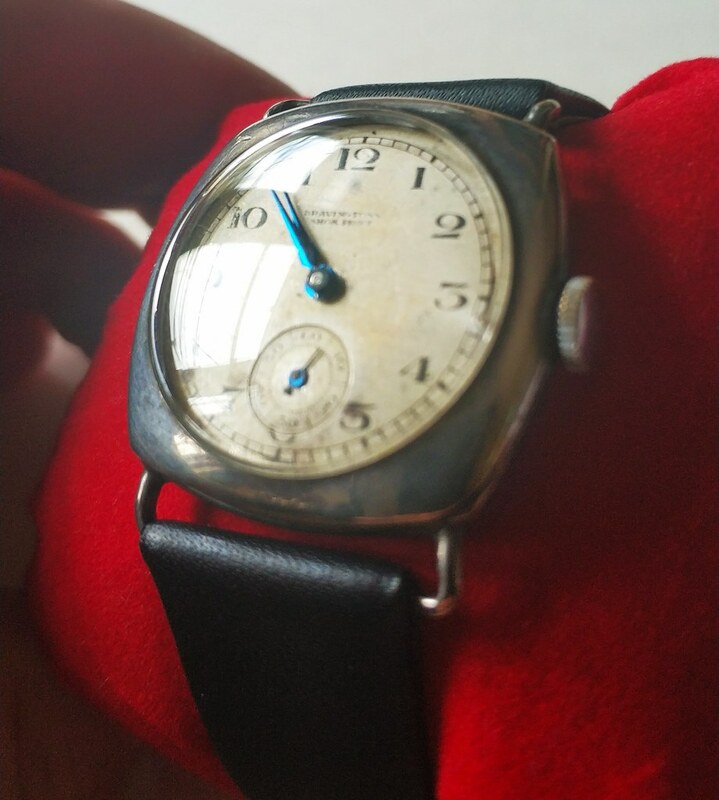 I was told it was quite old as wristwatches go as it has strap bars and no pins. You can see that the hands are cobalt blue, again I have been told this is probably original and due to pressure treatment. I just wondering if anyone could date it roughly for me...well and any other info you might be able to share. It's always been of interest to me, but I can't really find anything else like it online as a comparison. My best guess would be 1920's or earlier. Fixed spring bars I have seen plenty of that type of watch before my guess it will be about 32-34mm? Could be sterling silver could be steel but no way of knowing without a hallmark. Dial looks in poor condition with perhaps water damage big gouge in the case too. 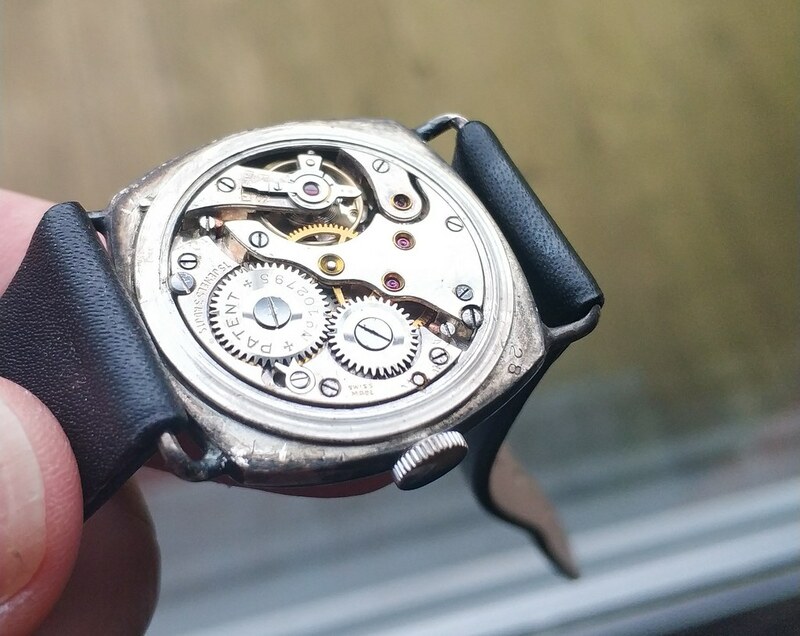 Blued steel hands are fairly common in that age, case back not removed so impossible to know what movement is in the watch. Would be nice if you actually stuck around though, perhaps an introduction to who you are instead of just posting a picture of a watch asking for information about it. I'll be off zero help but that truly is gorgeous! Thanks, Zen - Not sure anyone really cares who I am. Apologies if you think I am just coming here to get information, if I'm honest, I probably am. I am just trying to do a bit of research on an old timepiece, I'm no expert and would normally have little else to contribute! 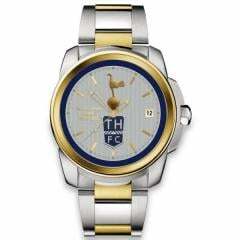 There is very little information about these watches and I would simply like to speak to present the information to enthusiasts so that if and when I ever hand this down I can tell the recipient a bit more about it - as opposed to how I got it...with none. If it makes any difference, as I understand it it has been owned by my family from new, I acquired it when my mother died, and it sat in a draw since then. It would seem that it is Silver, albeit in need of a polish. Has a few repair marks. The hallmark points to George Stockwell London If any of the other marks mean anything to anyone - I would love to know!!!! 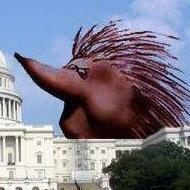 It would also seem from the patent number it is a HAFIS movement - that patent number was granted I think (google) 1924. 15 Jewels... what jewels would they be!? The Hafis name was a trademark owned in the US by a firm in New York city - Which would also make sense as I have found that the GS hallmark links to an importer active as a foreign and general shipping agent in London and the 925 bit would be 1925. So it could well of originated from New York!? 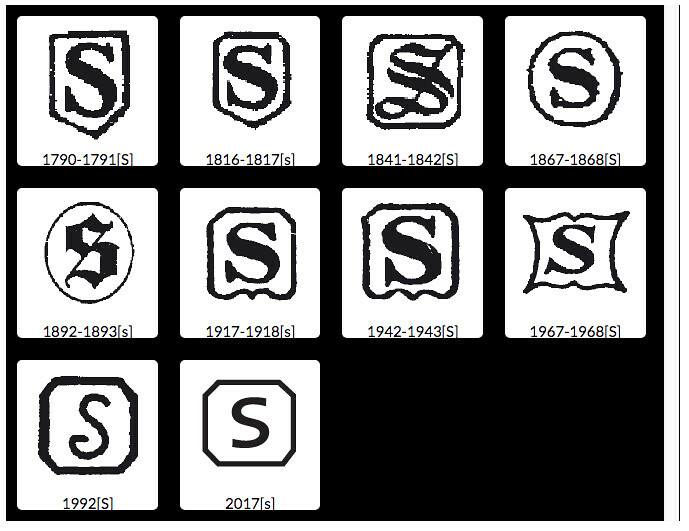 Found this on a database - all the "S" marks and years - which one do you think it is? The 925 will not be the year but the purity of the metal - i.e. 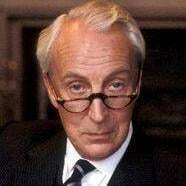 92.5% pure silver, more commonly known as sterling silver. Thanks - just read that. 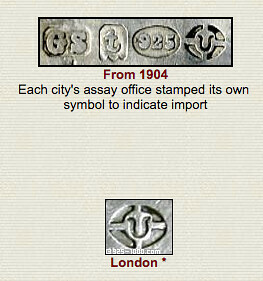 The U seems to denote London, the S could well mean 1933. The thing I noticed is "Shok Proof". Google brings up this, which is also in a Stockwell case, and has the same patent number, though there's no picture of the movement. 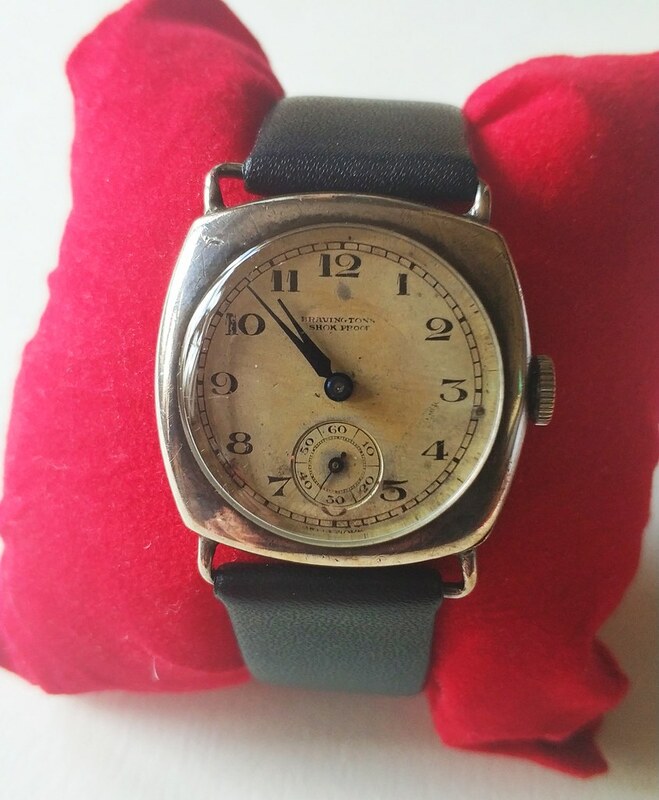 I have a sterling silver watch with a Stockwell case, mine is a hinged case back it may have a similar movement I will take a look. The problem with these old movements is they are rather fragile and really in many occasions cost more to service/repair than they are actually worth. Sterling silver watches dont really come up much for sale usually you find 9ct gold ones and the case style you have is not a very popular one. I would suggest getting it serviced though sooner rather than later if you have not used it for a number of years and you intend to putting it to use now. The case can really be cleaned up nice using any regular polish cloth and as you probably know, sterling silver always comes up nice with a quick polish even with a few gouges in the case. That 15 jewel movement reminds me of a Rotary watch I once had even the case was similar. The other scratched in marks on the inside of the case by the way were probably service marks. And they had a contract for selling surplus military watches after WW2, not that it helps this question.